Ajay Kumar was born without arms but his indomitable spirit to excel in life has seen him achieve what many just strive for. He cannot write like his peers but with sheer hard work and the will to succeed, he trained himself to use his feet for what others use their hands for and managed to ace the X Class UP board exam by scoring 71.8% marks. Ajay (16), who hails from Bhogaon village, Mainpuri District of UP, holds a pencil between his toes and writes like any other normal person. In fact he uses his feet, just like hands, to perform all the daily tasks and his disability has so far not prevented him from pursuing his dream of becoming an engineer. Ajay appeared for the exams from SR Inter College and secured 431 marks out of 600. 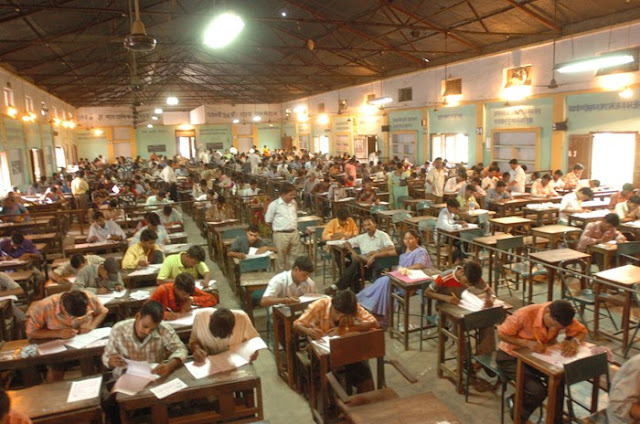 He is elated by his performance but swears that he would even work harder to cross the 80% score in his future exams. Admitting that many for his peers find it funny when they see him writing with his feet, Ajay says most of them have been very encouraging and admire him for his grit. However, there are a few who laugh and make jokes about his disability behind his back but that hasn’t ever really bothered Ajay. “I know who I am and what I have. I’ll make the best from it and never give up”, said the gutsy boy while talking to TOI on phone. “I’m even holding the phone in my feet and talking to you he says”, while adding that he uses his feet to even brush and eat his meals. 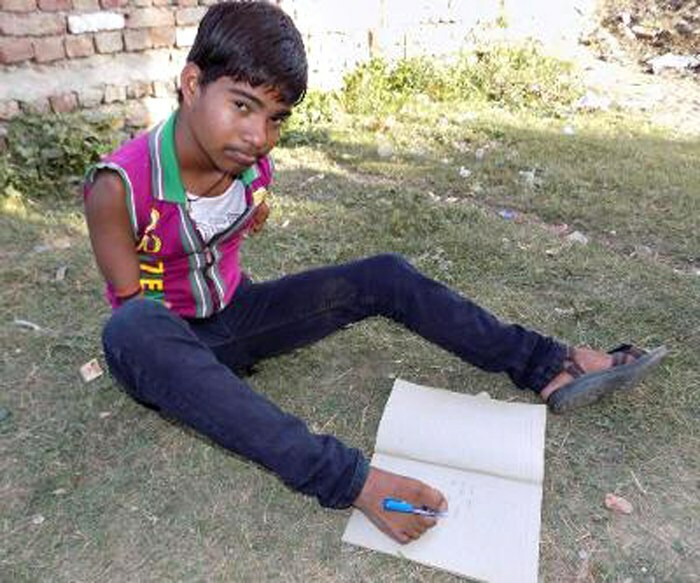 “I think, if I had arms I could have done better but nevertheless now my feet are my arms”, he says. Extremely proud of their son’s performance, Ajay’s father, Dayaram, and mother, Meera Devi, said, “When he was born we were very worried how he would lead a normal life without arms but over the years he has proved that his disability cannot stop him from achieving what he wants”. Dayaram said his other two sons were never interested in studies and dropped out after class VIII. Unlike them, Ajay always wanted to go to school and his mother encouraged him, he said. “When he was a kid, we gave him thin wooden sticks to hold in his toes and he used to draw lines with them on the sand”, she said, adding that gradually Ajay mastered the skill and started writing words and numbers.